Details: Sodium polyacrylate, also known as waterlock, is a sodium salt of polyacrylic acid with broad application in consumer products. It has the ability to absorb as much as 200 to 300 times its mass in water. 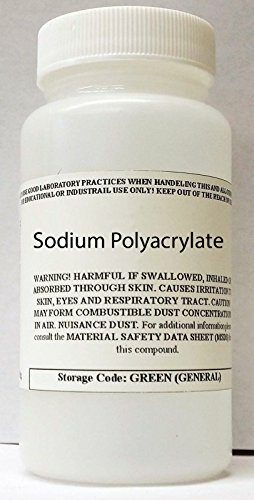 Sodium polyacrylate is an anionic polyelectrolyte with negatively charged carboxylic groups in the main chain. While sodium neutralized polyacrylic acids are the most common form used in industry, there are also other salts available including potassium, lithium and ammonium.